Sugarcraft Cakes is a cake business based in Comber, Northern Ireland. We specialise in quality homemade cakes for all occasions, including wedding, birthday, anniversary, christening, corporate and any celebration. We use only the best, local, free range ingredients to make the cake you desire. Our wide range of cakes include chocolate, fruit, madeira, carrot, coffee and walnut, cherry, malteser, ginger and fifteen but whatever you want, we can bake it! We can also cater for all your special dietary needs including gluten free and vegan cakes. 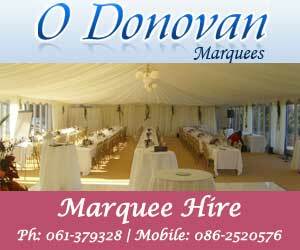 We can deliver and assemble your cake within Northern Ireland to the venue. An appointment with Barbara will ensure that your ideas and requirements become the perfect recipe for a cake that tastes as good as it looks! Evening appointments are available. Special occasions deserve special cakes. So why not have your Wedding, Novelty or Celebration cake commissioned and designed especially for you. At Sugarcraft Cakes we specialise and design cakes, tailor-made to your specification. We use the best quality ingredients to ensure that the cakes taste as good as they look and use only free range eggs. 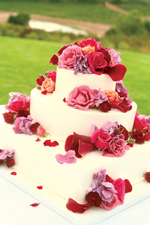 Wedding cakes can range from the traditional to the exotic and can vary in size and shape. Each Cake is individually costed according to size and complexity of the design. We provide free cake stands on loan matched to your design. We can deliver and set up your cake and stands.